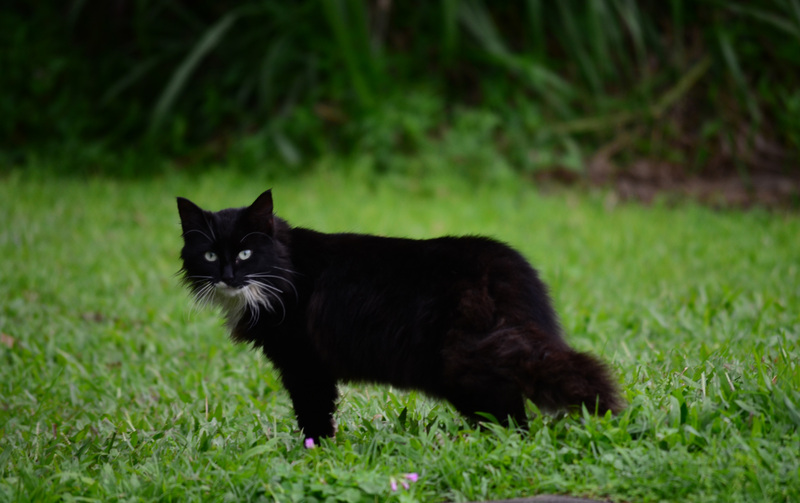 This feral cat was spotted near Akaka Falls on the island of Hawai’i. She had a litter of kittens who looked to be a little too old to still be with their momma. Despite their age, she was extremely vigilant over her kittens. When one of them began to cry she immediately went to them, after sharply looking at me to make sure I did not follow.